With almost every five-star hotel now doing some form of afternoon tea, it can be difficult for hotel teams to come up with creative ideas that make their sweet delights standout. The Four Seasons Hotel Tokyo at Marunouchi does not seem to have this problem however, as the hotel has partnered with the world-renowned luxury fashion accessories brand Jimmy Choo, for an afternoon tea that is sure to delight the well heeled ladies of Tokyo. Beginning 16 March 2019, the Motif Restaurant & Bar at Four Seasons Hotel Tokyo at Marunouchi will offer guests the opportunity to enjoy the very first co-branded afternoon tea collaboration for Jimmy Choo in Japan. Motif’s culinary team has created imaginative confections and savoury treats inspired by Jimmy Choo’s seasonal fashion collection and signature styles including Jimmy Choo’s iconic Romy heeled biscuits. 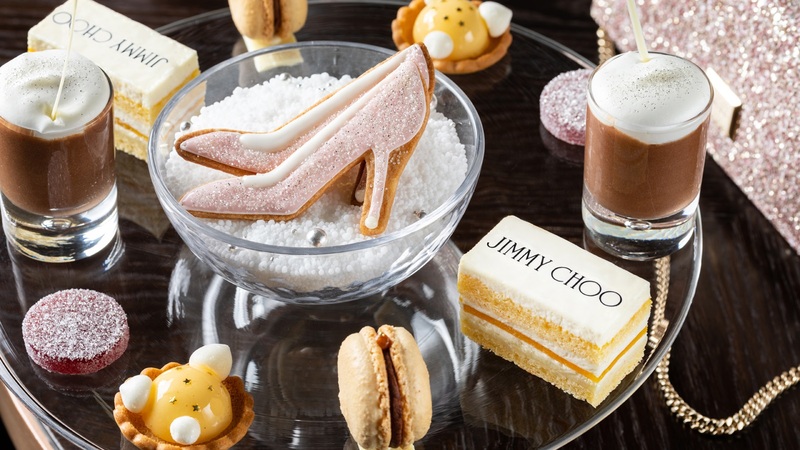 Other Jimmy Choo signature details such as star studs, glitter and shoe illustrations are celebrated alongside a collection of thirty tea varieties and coffee. The Motif Afternoon Tea Collection with Jimmy Choo, served daily from 14:00 to 17:00 between 16 March and 31 May 2019, costs JPY 6,900 per person with a gift of Jimmy Choo L’Eau de Toilette (4.5ml). See latest HD Video Interviews, Podcasts and other news regarding: Four Seasons, Tokyo, Afternoon Tea, Jimmy Choo.